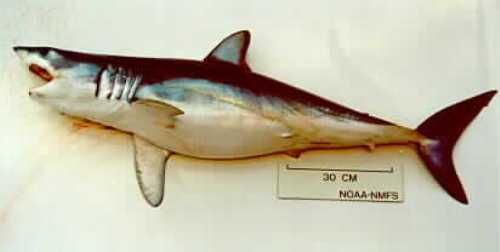 The sexual dimorphism is exhibited in male and female Mako sharks. The males are usually smaller than the females. The largest Mako shark had the weight of 1,300 lb or 600 kilogram. On 3 June 2013, this fish was caught on the Californian coast. Actually, the larger specimen of Mako shark has been discovered. The weight reaches 1,260 lb or 570 kilogram, whereas the length reaches 12 feet or 3.8 metres. The physical appearance is characterized with the presence of an elongated tail and cylindrical body shape. The ventral part features white coloration. The glazing metallic blue coloration is spotted on the dorsal part. The darker coloration is spotted on the larger specimen. The smaller Mako sharks have whiter look. Mako sharks can be found living in tropical and temperate seas in many parts of the world. They like to inhabit the sea surface up to the depth of 490 feet or 150 metres. Mako sharks live in Brown Banks, Nova Scotia, Gulf of Mexico and Argentina in western Atlantic. One of the indicators of the concentration of Mako sharks can be seen from the presence of swordfish. 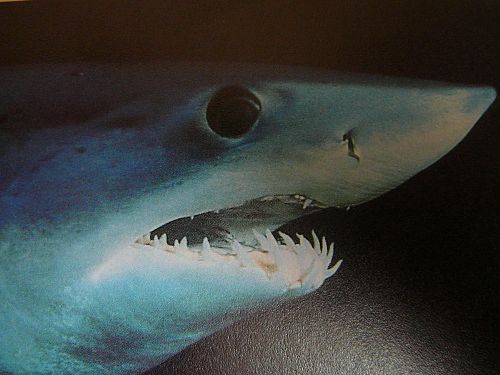 Mako sharks consume swordfish as their primary diet. Mako sharks will reach long distance journey to search for mates and prey. 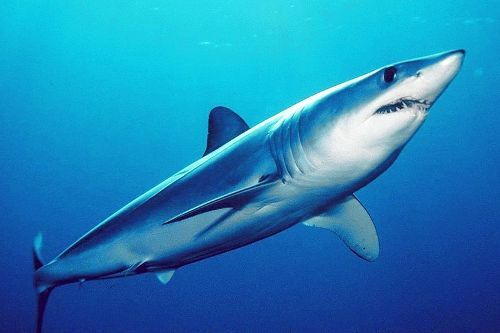 Mako sharks will like to hunt swordfish, bonitos, tunas, mackerels, seabirds, sea turtles, porpoises and other sharks. Do you have any comment on facts about Mako sharks? Share the post "10 Facts about Mako Sharks"